Climbing in the Wye Valley, Forest of Dean and Brecon Beacons. Experience the beauty of the outdoors with our variety of popular sports activities like rock climbing, abseiling and gorge walking. The counties of Herefordshire and Gloucestershire are blessed with a number of challenging rock formations for beginners and the adventurous alike including the very popular Symonds Yat Rock which affords rock climbers and avid abseiling enthusiasts a spectacular view of meandering River Wye at the bottom from your vantage point at the top of beautiful gorge. Recent advances in climbing equipment have made rock climbing an extremely safe activity. You will be assisting each other to get to the top and with so many climbs to choose from, all levels of fitness and ability are catered for. 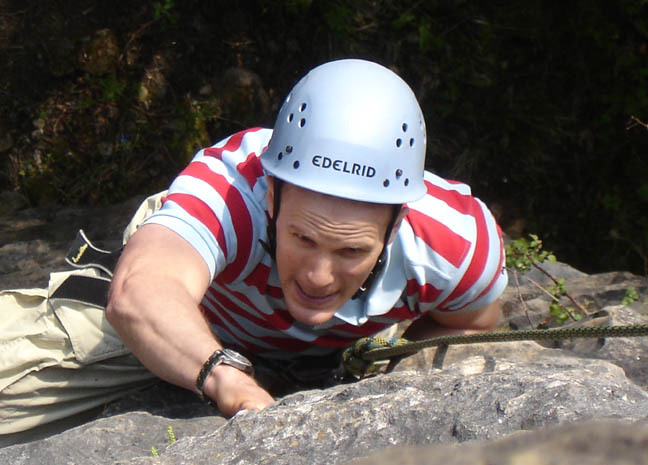 Rock climbing often suits parties of mixed ability and fitness as you can do as little or as much as you like, so there is always something for everyone to do. 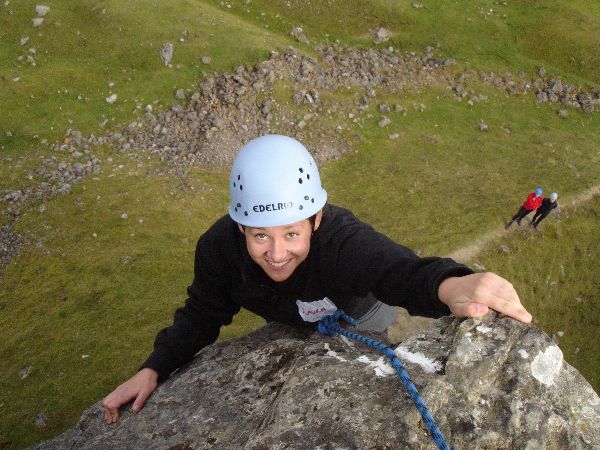 If you want to go rock climbing in Wales and the Brecon Beacons then we can come to you and take you to some breathtakingly beautiful areas with excellent rock climbing for beginners or advanced climbers. 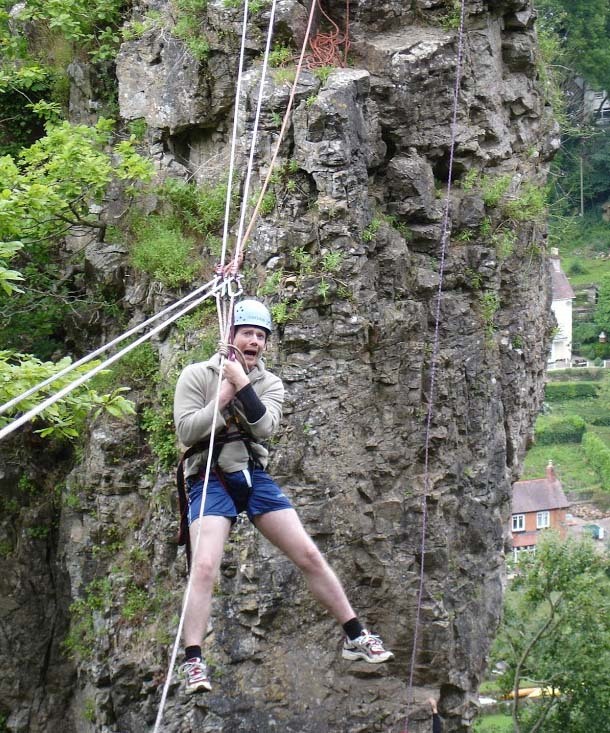 Hen and stag parties really enjoy rock climbing and abseiling sessions, there are rock climbs that are suitable for all levels and competition can often bring out the unknown talent in friends that you were all unaware of. 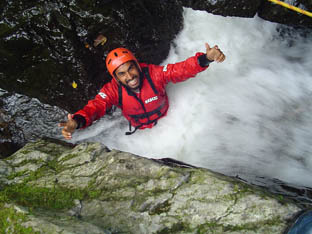 We always supply highly experienced well qualified instructors so that you can get the most out of your rock climbing, abseiling and tyrolean crossings. The great thing about doing these activities as a group is that there is always plenty of time to socialise when you are not climbing, abseiling or swinging below a rope. Feedback: Look at what our clients say. "If you are giving any feedback to Michael - mine wound be that he was a thoroughly excellent, professional and friendly guide - we hit gold with him. It was one of the best activity type days I've ever done." 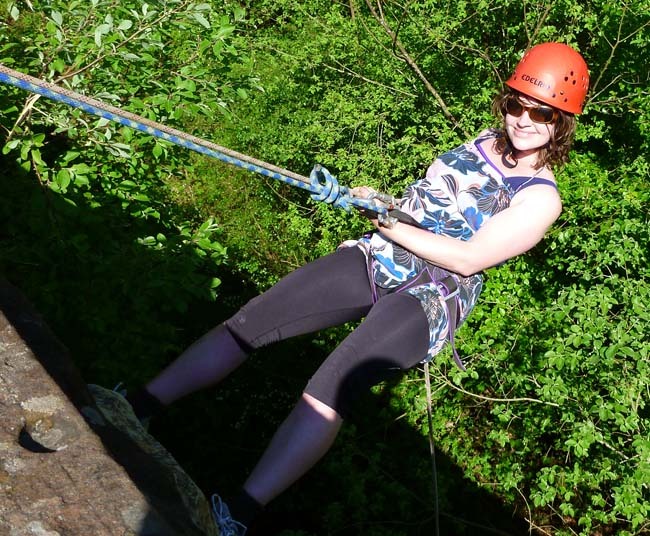 Lucy (Swindon) "Thanks for putting us all at our ease, the abseiling was fantastic fun and I loved the climbing, please thank Chris and Steve"
Gavin (Gloucester) "May I just say that we all had a really great day and one of the best things that I have ever done."